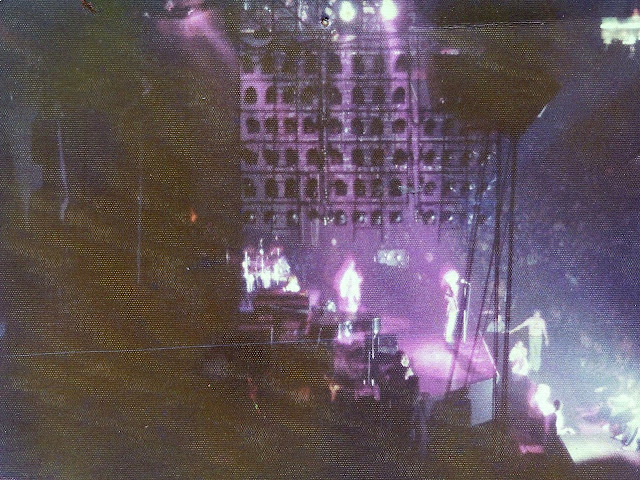 OK, since I put up modern pictures of 1970's speaker technology, I figured I'd share some some of my own original pictures of 1970's technology shot, well, in the 1970's. 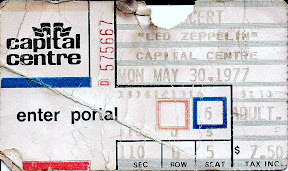 My father had once said, "if that Led Zeppelin ever comes around, I'll get tickets". 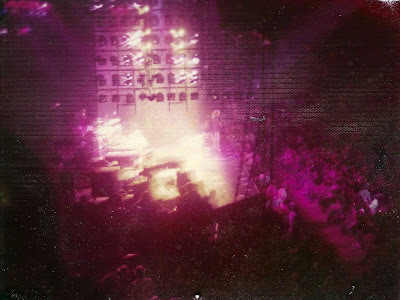 And so, when they went on tour in 1977, I nagged him until he did. He was probably the oldest person at the show (the Capital Centre was two hours away, and I was too young to drive). My friend Stuart and I were probably some of the youngest. Tickets were a whopping $7.50! And even at that early age, I was an entertainment technology geek. And I have proof--see the photos below (sorry for the quality, I took these using a 110 camera, the negatives are beat, and the prints were on my wall for many years). Boy have we come a long way! PAR cans, DC300's, tons of horns aimed all over the place, hand made dry ice foggers, all provided by Showco, if I remember right. Years later, I actually applied to Showco for my senior project, and I thought it was so cool that they actually responded to some high school kid, so I proudly kept the letter for many years (it's probably in a file around here somewhere). I don't honestly remember how it sounded, but I knew every song inside and out. 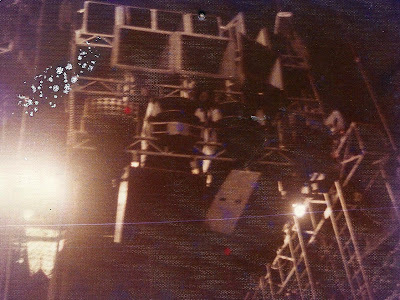 I do remember that someone threw a sparkler onstage (there used to be tons of (audience) fireworks at shows!) 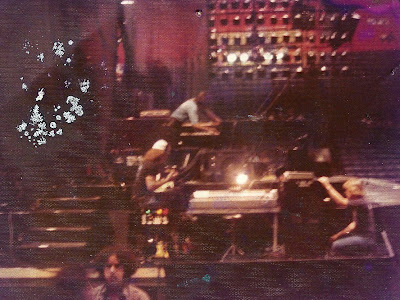 and Robert Plant kicked it down into a flash pot and it blew up pretty much right under him. And I have more photos here.